Benjamin follows Elaine to the 'Berkeley' campus. Ben walks from the VKC classroom building, through Alumni Park, and sits by the fountain. 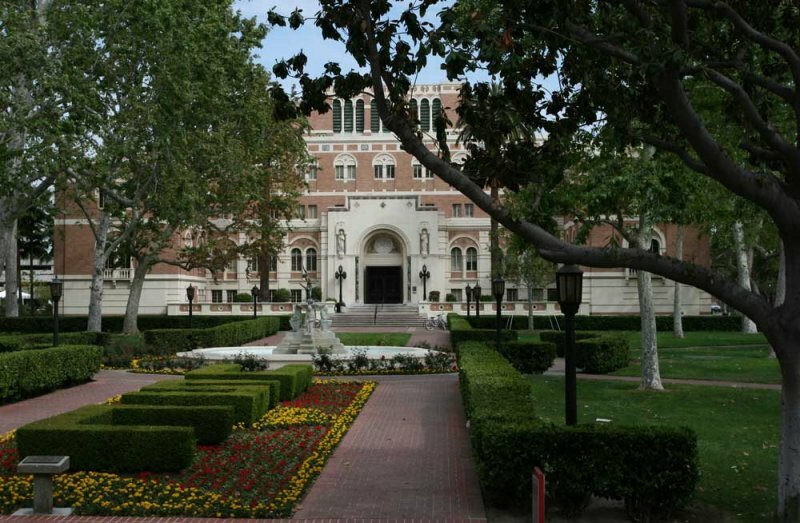 Ben sees Elaine coming out of Doheny Library and he runs toward Bovard Auditorium in order to keep following her.